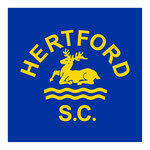 Well done to team Hertford for a 1st place at the Chairman's Gala! All session run as usual apart from no swimming on Good Friday, Easter Sunday and Easter Monday. Sunday notice: Building MUST be cleared by 19:30!